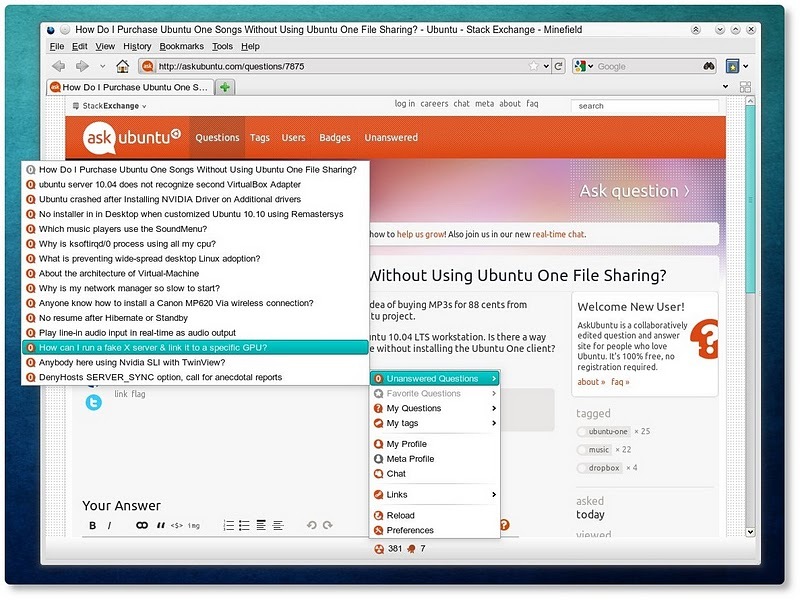 The extension, called AskUbuntu Add-on, allows to easily track user info and questions from askubuntu.com. 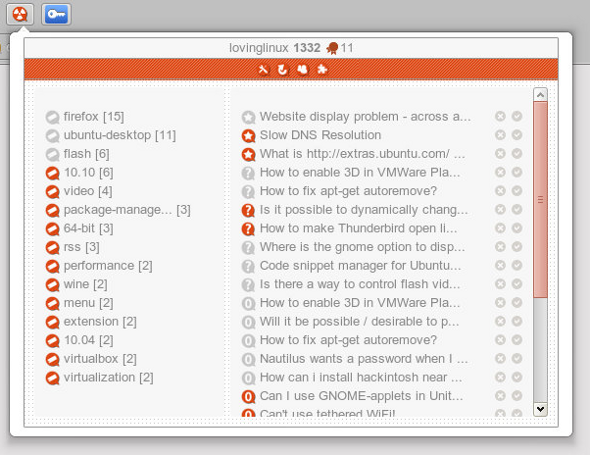 This extension displays user reputation and badges in the toolbar, provides an easy access menu to unanswered questions , user questions, favorites and user tags. It has an update checker that alerts when there is new activity in the user account or unanswered questions. The configuration options allow to disable alerts, limit the number of items displayed in the menu, hide user info and control the frequency of updates. There is also an option to store data temporarily if the browser is on private mode. 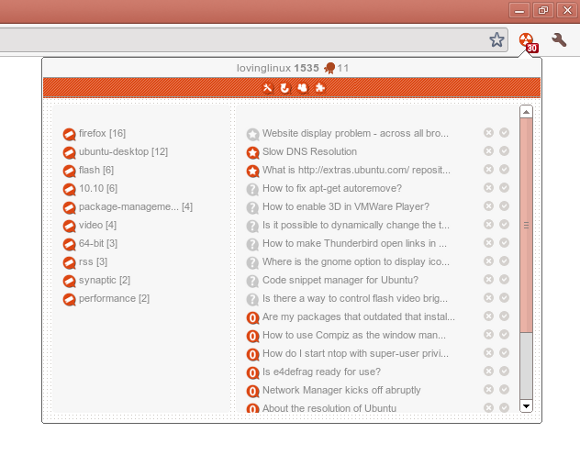 Browse other questions tagged app firefox google-chrome askubuntu .